The Tableau Conference brings together the best and the brightest in data analytics from across the country under one roof in Las Vegas, Nevada. Tableau is a leader in BI reporting tools with customizable dashboards used to create visual insights. 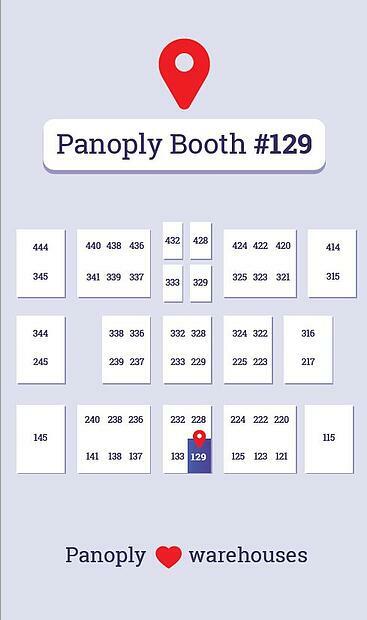 Panoply is on-site to discuss its Smart Data Warehouse and the technology behind it. It is an autonomous data warehouse with the ability to act as an independent manager for your data. It's query optimization is second to none, as it consistently improves by learning your data each time a query is executed. Panoply has positioned themselves as a leader in automated optimizations that can handle any data source. It utilizes a collection of integrated data sources and SDKS to manage data by employing (NLP) Natural Language Processing. What are people talking about at the conference? Industries representatives from Comcast to D.C. Primary Health as well as independent consultant groups are all juggling multiple data sources. From departmental needs to individual clients they are all challenged with managing and maintaining data and data types from various systems. Each data source is challenged by optimization, performance, complex queries and runtime. One individual spoke of the 'risk factor' of having so many data sources spread out with a single resource or individual managing it. Another concern is the 'silo effect' where data is controlled by a single resource or department. Delays and frustration are common when requests are prioritized based on accessibility of resources or the presumed priority of the request. Panoply invites individuals to visit them at their booth or contact them through the website to discuss this challenge and see how Panoply can work with you towards a positive outcome. The rest of the conference is a collection of various vendors in the Data Village and over 100 breakout sessions and programs for newbies to experts. Tableau has done an excellent in job satisfying the needs of learning how to work with data better. The working laptop based sessions are well executed and the content is easy to follow. Tableau lets users take a closer at Tableau 10.4 in the session, Winning with what’s new in Tableau. This session gives users the ability to walkthrough some of the newest features in Tableau, and the ability to test drive them all. During your visit, be sure to stop by Panoply's booth to speak with the experts on how to end the challenges you may be currently experiencing with your data. If you miss the conference, we welcome you to contact us directly through our website.